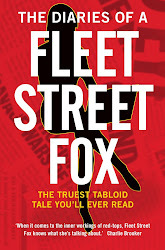 fleet street fox: Watch the mighty fall. MORE resignations, more arrests. More unanswered questions about who knew what about whom and how. The hacking scandal - which a year ago was just a snoresheet fretting over Sienna Miller - is now a summer storm drenching everybody in public life with a goodly dose of ordure. There'll be more to come, inevitably. And there is one head with a pole ready and waiting for it, and whose removal I predict will be the only way this story will ever end. As the controversy has grown those responsible have slithered, wriggled, flipped and flopped as the hunters closed in, retrenching and firewalling, denying and stalling until eventually they were trapped. And there is just one big fish yet to be caught in the nets: the Prime Minister. It was Dishface* who sparked this scandal. He employed a man loathed by his opponents as well as his own side in the belief he would be useful. Had Andy Coulson got a job with absolutely anyone else - the Labour Party, or a City bank - phone-hacking would have faded away like a lover's regrets. It would have been recalled now and again, but cheerily swept under the carpet as people carried on with their everyday lives. Although Coulson was tainted, Dishface gave him a job and in so doing painted a big red target in the middle of his own forehead. As a direct result of that decision journalists started going back over the story, reworking their contacts, re-asking the questions. I do not understand Dishface's reasoning, because as a former PR man himself he must have known that scandal is contagious. But it reeks of arrogance, of an overbearing sense of superiority which has been unpleasantly manifest in all of the drama's culprits. The arrogance of bad journalists who thought they could get away with it. The arrogance of a few police officers who thought there would never be a price to pay for a free lunch. The arrogance of politicians think they can climb into bed with whoever they please, of a disgraced editor who thought he could become a puppetmaster. The arrogance of a media mogul who one day says there were "only minor mistakes" and the next expects us to believe his apology to Milly Dowler's grieving family was heartfelt. The arrogance of closing a 168-year-old newspaper to save a TV deal 10 times its value, sacking its staff and the same day heading out for dinner with a big smile on your face, knowing those will be the pictures in the next day's papers. The arrogance of those who reached the top of the tree and thought no-one could ever drag them down. Well, trees can be felled. The storm that's whipping about us now won't go away when Parliament has recess, more are arrested, or charges brought. The questions won't stop. My first chief reporter told me the most important thing any journalist can ask is "why?" Why did Dishface employ Coulson in the first place? Why didn't he sack him? Why didn't the first police inquiry go into all this? Why did the Met Police Commissioner resign for apparently doing nothing wrong? Why are some of these people being protected? Why did any of this happen in the first place? All it needs is a single email: a note between Coulson and Dishface, something which shows the PM knew. Then he's gone, the Coalition will crumble, and the Government will fall. And if that happens, a former footballer's almost-autistic level of note-keeping will have brought down the most powerful people in the land. Glenn Mulcaire was known as 'Trigger' before he became a private detective and started to hack phones - and never has a nickname been more apt. Those notes are a bullet that has Dishface's name written on it. 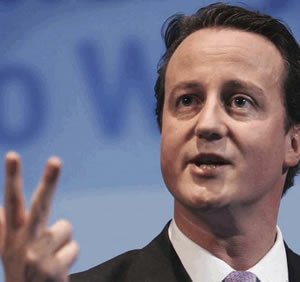 Maybe he'll scrape through, maybe he's nothing to hide, but I'll bet my brush the PM will be gone by Christmas. * Dishface, not cos of his forehead, but cos if you twiddle his left ear you can pick up SkySports. "Ed Miliband? Are you joking?"